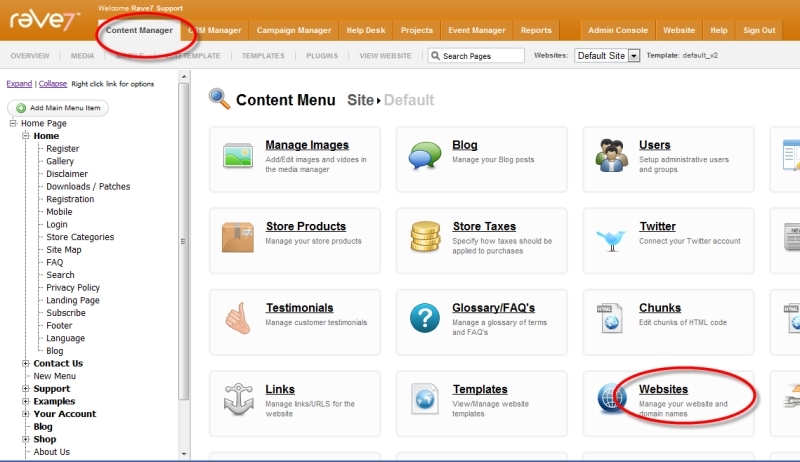 rave7 allows you to manage multiple websites based on your license. Each website shares the underlying resources of the system like forms, images etc. 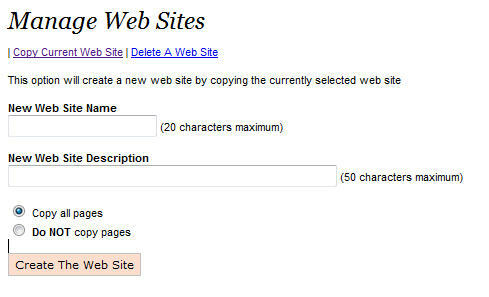 Enter the name of your new site, (do not use and spaces), and enter an optional description. You also have the option to either copy all the pages from the current site or not. Depending on the requirements of the new site, this may give you a head start. After you create a new web site click the radio button below the web site image and then click the "Activate The Selected Web Site" button to activate the site for your session. Please note this action DOES NOT make the website active for any domain.